Digital services have taken over our everyday lives. While their personalization through our data provides an unprecedented level of convenience, it is important to also explore some of the behavioral changes that might come with this impending informational ubiquity. 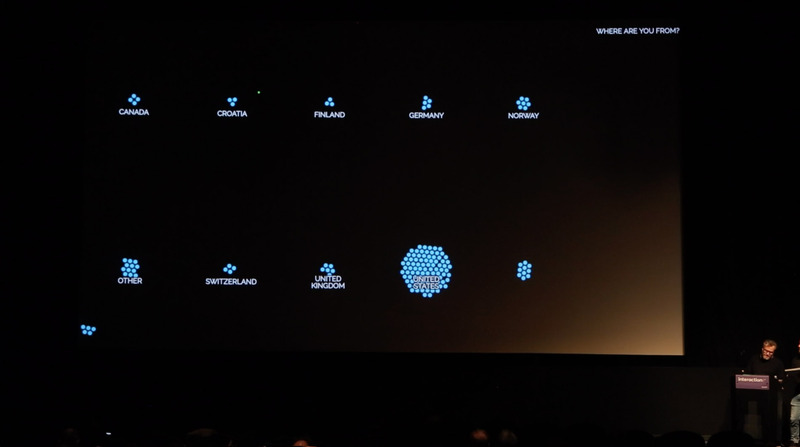 ’Data Futures! ?’ investigates, by involving an audience in a live experiment, some of the social dynamics that occur when our personal data become openly accessible. The experiment starts out by leading the participants through a series of questions that they answer using their mobile phones. The questions start out by asking simple descriptive parameters (e.g. nationality, height) but become increasingly personal over time. 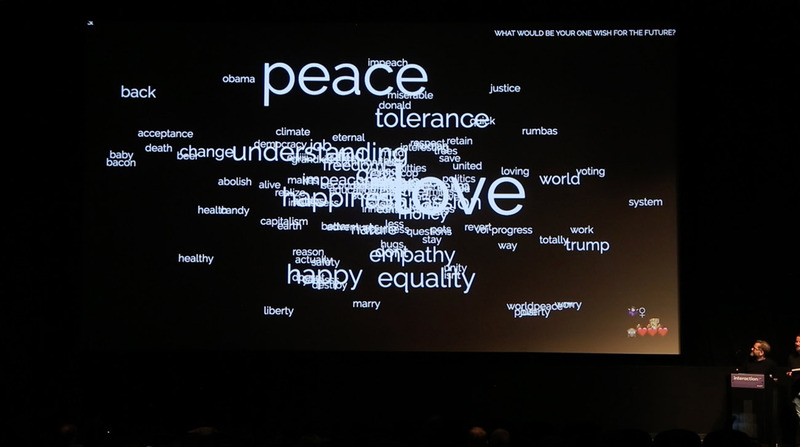 The aggregated answers are being visualized live and, question-by-question, the audience gets more and more insights into the lives of their fellow audience members. The visualized answers - Where are you from? 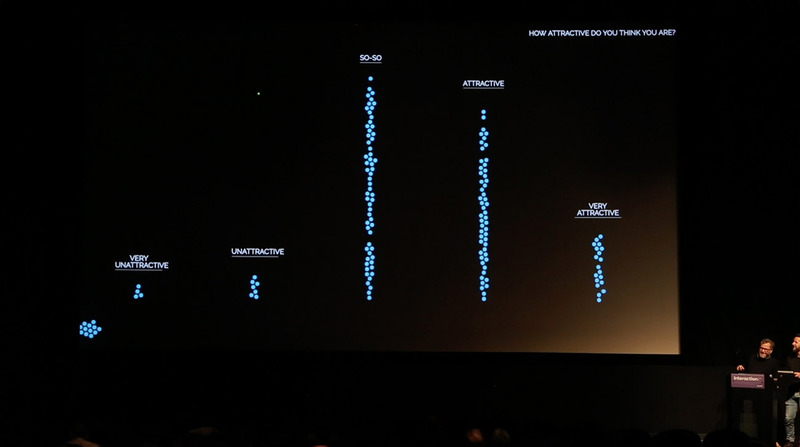 The visualized answers - How attractive do you think you are? The visualized answers - What is your one wish for the future? 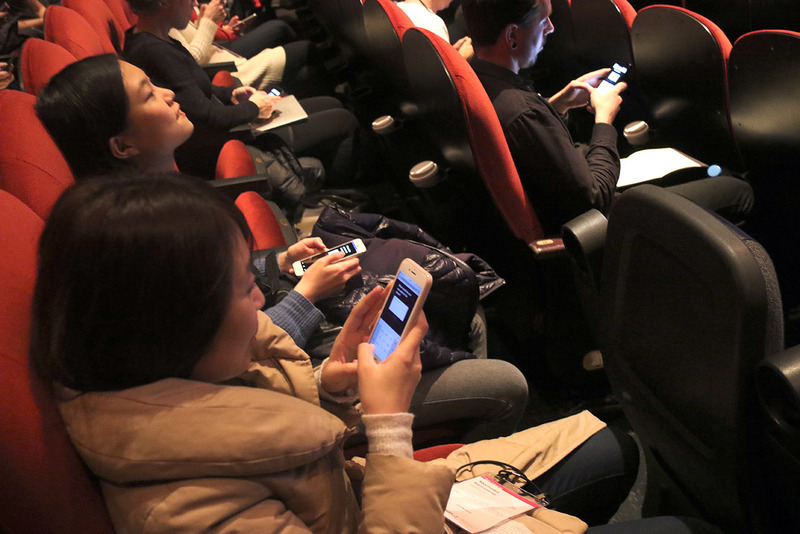 Following the series of questions, the individual answers are then correlated with each other to derive even deeper insights about the audience. 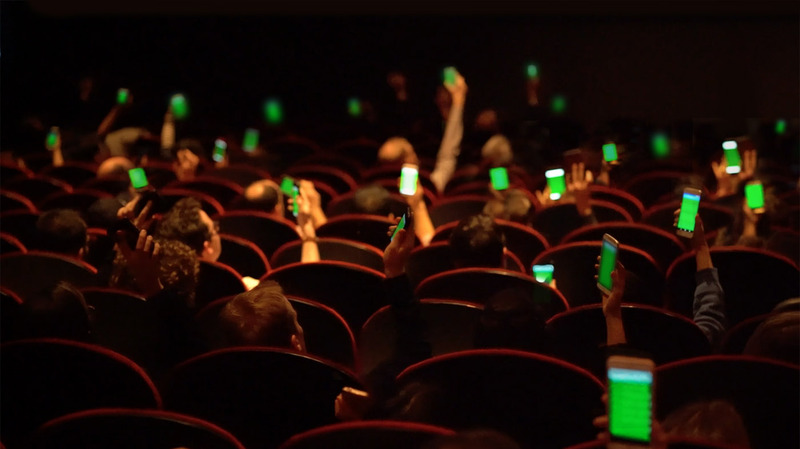 Based on these insights specific segments of the audience are then being pointed out by changing the background color of their mobile phones. 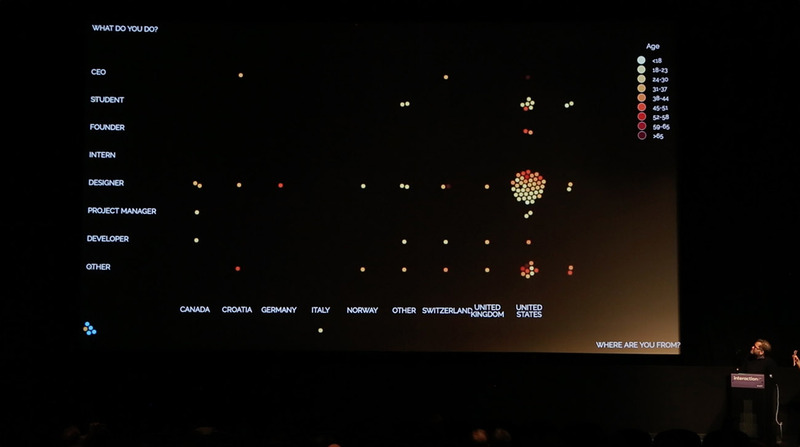 Surprisingly re-establishing this direct visual connection between each audience member and their data creates a powerful shift in thinking and exemplifies how easy your very own data can come back to “haunt” you. While in the digital services we use the mechanisms of data collection and repurposing are typically hidden from us through multiple layers of abstraction,’Data Futures! ?’ lays open these processes of data collection, analysis and repurposing in an interactive experience. As an experiment, ’Data Futures! ?’ explores how our behaviors, interactions and perceptions of each other change once our personal data become openly accessible.